To view this video, visit https://www.youtube.com/watch?v=OiNJ8AuRkc0. Whenever you receive a message, you should think about who sent it. A message from your teacher and a message from your best friend could be very different. And some messages come from many senders. 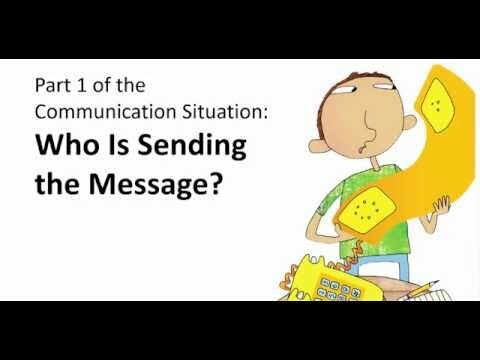 Watch this video to understand how to analyze the sender of any message. What is the sender trying to do with this message? What is the sender's role in creating the message? What is the sender's relationship to you? How trustworthy is this sender? Analyzing the Sender of a Message by Thoughtful Learning is licensed under a Creative Commons Attribution-NonCommercial-ShareAlike 4.0 International License. Based on a work at k12.thoughtfullearning.com/minilesson/analyzing-sender-message.